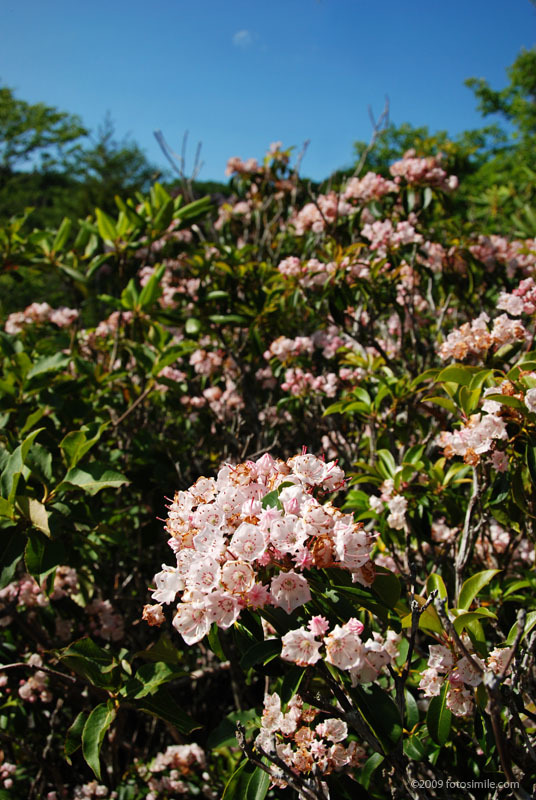 These last remaining mountain laurel blooms were shot along the paved path that leads down to the creek at the ever-popular Graveyard Fields overlook on the Blue Ridge Parkway. At the higher elevations these blooms were still persisting into late June, which was fortunate for my brother and sister-in-law who were visiting after 6 months of a 3-year stint in Okinawa. They had been longing for the North Carolina highlands, and they were not disappointed. We had great weather and great hikes. If you've never been to this area of the country, you must put it on your list of places to see.